Here in the upper Midwest, winter weather can be absolutely brutal. 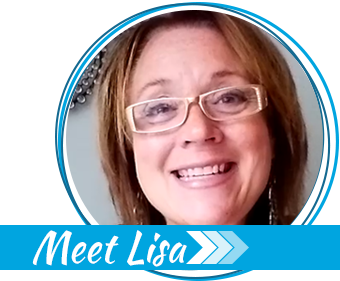 We’re talking frigid temperatures, freezing rain, feet of snow, and just a whole lot of no fun when you’re trying to go about your daily life. Sure, if you enjoy snowmobiling, ice fishing, and skiing, the winter months are like paradise, but for those who are just trying to get to and from work each day, though, things can get dicey. Fortunately, winter weather rarely hits without some advance warning. While we all like to poke fun at the weather forecasters, when it comes to blizzards and such, they get it right far more often than they miss the boat. So, the first line of defense is to pay attention to your favorite weather forecast. It is exceedingly rare that a winter storm pops up out of nowhere. There is almost always several hours, if not a day or two, of warning. If at all possible, limit any planned travel during a predicted winter storm. I know, that’s often easier said than done. Bosses tend to get a little irritated when employees don’t show up. If you have a vacation or sick day you can afford to burn, use it on a day when the roads are going to be sketchy at best. If you can work from home, do so. Always have emergency supplies and gear in your vehicle. These include jumper cables, a blanket (wool is the best), extra cap, socks, and gloves (again, wool), flashlight with extra batteries, food, water, and a first aid kit. Bonus points for chemical hand warmers, glow sticks, and a cell phone charger you can plug into the cigarette lighter in your vehicle. You’ll find a complete list of what should be in your vehicle emergency kit here. If you get stranded for some reason, stay put unless you absolutely have to leave your vehicle due to safety reasons. A car or truck is much easier to spot than a person. Tie a brightly colored piece of fabric, such as a flag or bandanna (from your emergency kit), to the vehicle’s antenna. This is a universally recognized symbol indicating you need help. NOTE: Read this article about surviving in your vehicle during severe winter weather, if you are ever stranded. Each vehicle should be equipped for survival, just in case. You might want to pack supplies to make this small, alcohol-fueled DIY heater for a true emergency. Should you decide to trek out on foot, do everyone a favor and leave a note on your dash with your name, the date and time you’re leaving, and where you are heading, even if only a rough compass direction. This will help people find you, should they need to conduct a search. At home, I hope you already have a full pantry. If that’s not the case, hit the grocery store a day or two ahead of the predicted storm and stock up. No need to go crazy and lay in enough food to last a month, but get enough of what you’ll need to last at least a week or so. I cannot stress enough that you should not wait until the last minute for this grocery store trip. If you do, you’ll either find empty shelves or you’ll be fighting the pre-storm crowd. Empty store shelves aren’t just a fantasy in a survival writer’s imagination. They are all too common when an impending severe weather or natural disaster is in the news. There’s a good chance of a power outage, so plan on buying food that doesn’t need to be refrigerated, as listed in this printable. Take that list to the store with you so you’ll have plenty of ideas for foods that your family will eat. A key element to surviving brutal winters is having multiple way to keep warm if the furnace isn’t working. If you have multiple people in the home, double up and pile on the blankets. Try and keep everyone in one room, ideally a small one as described in this article. Body heat multiplied by a few people and kept in a single room will benefit everyone. Add a dog or two, and you may become too warm! As a last resort, put up a tent in one of the smaller rooms and everyone can sleep in the tent. Hang a blanket over the window and any open doorways to help reduce heat from escaping and eliminate cold drafts coming in. Obviously, if you have a fireplace or a wood stove, make judicious use of it, provided you thought ahead and have a good supply of dry, seasoned fuel set aside. Wind chill is something most residents here in my neck of the woods understand, yet it sometimes baffles new folks. Basically, in the winter it gets cold, obviously. However, wind chill makes it “feel” colder, just as a breeze makes it “feel” cooler when its hot outside. A lot colder, actually. Around here, it isn’t uncommon for the high temperature to reach, say, 10’F, and with the wind chill factored in, it feels like -20F or lower. At temps that low, any exposed skin can suffer frostbite in just a matter of minutes. This means you need to protect yourself with not only hats, coats, and gloves but scarves and earmuffs as well. Recently, we discovered fleece-lined tights and that discovery rocked my world! When it comes to injuries and fatalities as a result of winter weather, while I’ve not seen any hard stats on this, I’d estimate more people die of heart attacks while shoveling snow than for just about any other weather-related reason. If you don’t have a teenager in the area who you could give a few bucks for shoveling your driveway and thus have to tackle it yourself, take it slow. There’s no need to try and do it all at once. Far better to take frequent breaks as needed. Even running a snowblower can be physically taxing. Finally, severe winter storms often result in power outages. Ice can build on power lines, which adds a great deal of weight and causes the lines to come down. Often, it is just a matter of a few hours, maybe a day, before power is restored. 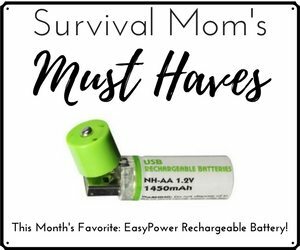 But, plan ahead and have plenty of flashlights, batteries, and a portable radio so you can keep abreast of the weather-related news. Another very important step is to immediately charge all cell phones and electronic devices the minute you hear of a major Nor’easter or blizzard headed your way. It’s also a good idea to do a few loads of laundry in case the power is out for more than a couple of days. You might as well have a clean stock of underwear, socks, and clothes for every member of the family! Boredom can also set in if the power goes out because that means most of your family’s entertainment sources will be powerless. This article about sheltering in place is a great resource for planning now to keep the kids and/or grandkids busy if you’re stuck in the house for hours or days. 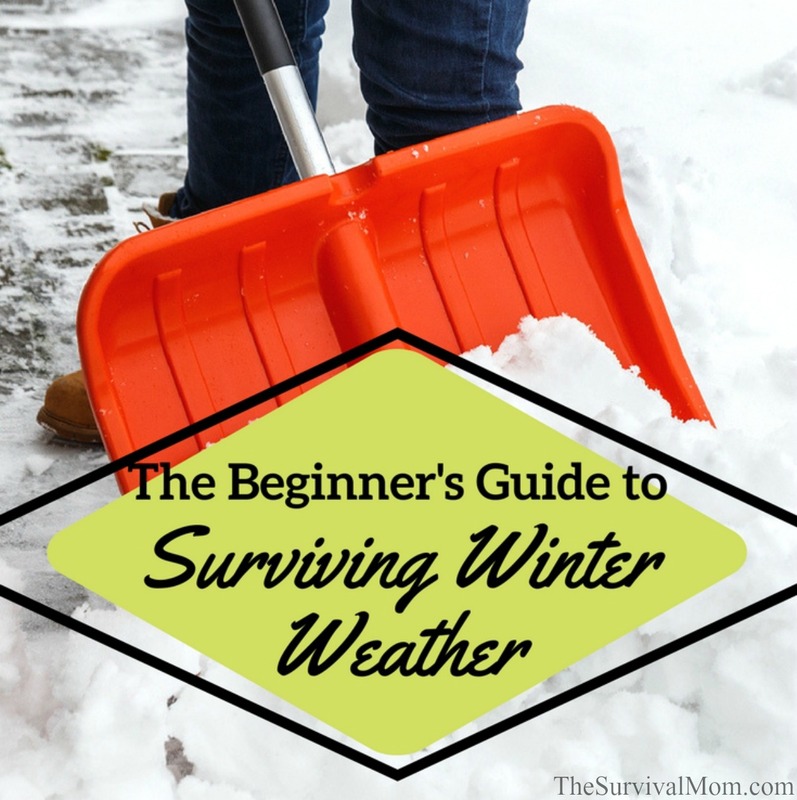 What Will You Do When Winter Weather Hits You? Severe winter weather isn’t something to be trifled with but with just a bit of planning, you’ll come through just fine. How will you prepare? Christmas is Coming, My Kids are Getting Fat! When we moved to a cold state, one thing NO ONE told us was to unhook your hose from the house and bring it inside for the winter. Having moving moved for a state where you watered year round, this never occurred to us ( and I guess no one else, b/c when we asked people what to do, no one mentioned the hose I guess they all assumed everyone did that!). We burst a pipe in the hose after a hard freeze b/c the hose froze and it just kept going up the line. What a mess!! Now I tell everyone who I meet that just moves here..unhook the hose from the house!! Great tips! I wouldn’t have thought of that, either. I would like to add (and I live in Saskatchewan – a very cold and snowy province), that thermal underwear works wonders. Even the very lightest pair for women is a help under jeans. Also mini gloves make great and cheap glove liners for heavier gloves. This year I plan to tape plastic around all my windows, even the triple pane new ones since it helped cut drafts so much last year and should reduce the heating bill. I also purchased a small oil burning portable fireplace last year – people usually use these for decor, but they can heat a small room safely without toxic fumes if the power goes out. There are gel models available as well. 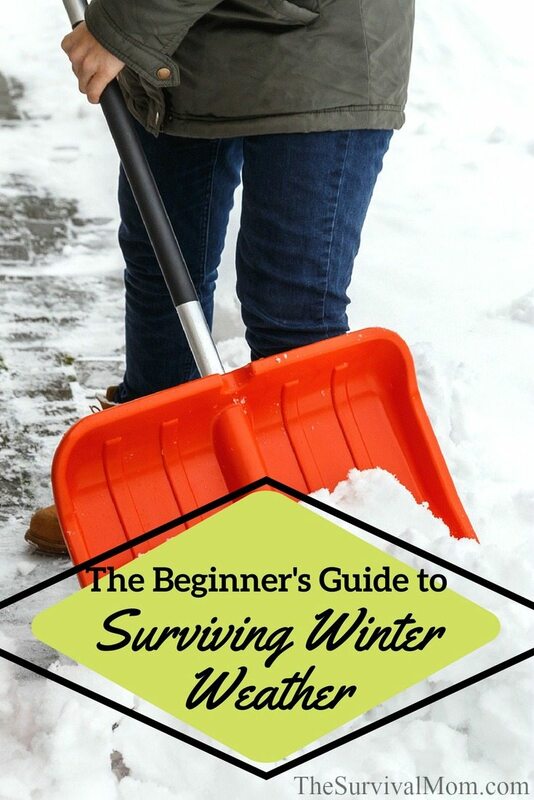 Oh, and a word of advice – stock up now on shovels, salt or traction aid, ice chipper and roof rake since these will all be sold out within hours of a major snowstorm! I have also already booked a date to get my snow tires swapped from my summer tires. Again, the service areas will be fully booked after a snow storm hits. The other information in this article is great. The key is being prepared before winter hits. Sharon, I have had my outdoor tap freeze and break more than once! Now I shut the water off from inside the house around the first frost (about mid-August), there is a tap in the ceiling to drain the water into a bucket before it reaches the outside, and the most important point is to leave the outside tap open, not closed for the winter once you have turned the water to it off. This way any condensation that accumulates in the pipe can still drain off. In the spring, I wait until after the last frost (usually end of June), to turn the outdoor tap back on. No tap breaks in the last few years following this plan! Another cold weather tip for those from southern climates is to have a block heater installed in your car. This can be plugged in to keep the engine warm. Just be sure to unplug it before you drive off! Also from Saskatchewan (-40F to +100F),Yes, definitely have a block heater for your vehicle (& remember to plug/unplug it) and turn off your outdoor water from the main/indoor valve before freeze up. Also, put insulation or heat tape around pipes inside the exterior walls. I had to leave my sink cabinets open all winter and occasionally defrost them with a hairdryer in one place I stayed! And please, don’t drive “out of town” if it’s very cold: there may not be enough traffic to help a distressed vehicle in time before frostbite or death. My plan for winter power outages is a tent with warm sleeping bags set up in the living room. Family of 3 with 3 dogs should be plenty warm and toasty. Mr Buddy heater is on my wish list also as it is rated indoor safe. Anyone ever use those? 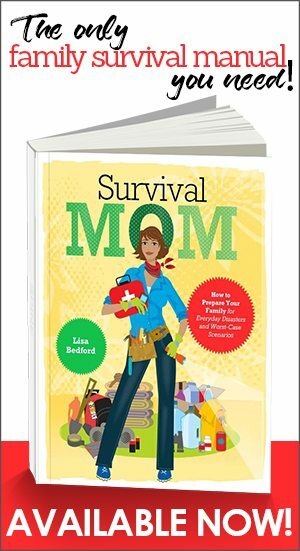 this is my first year becoming a Survival Mom. 🙂 We live in NH. 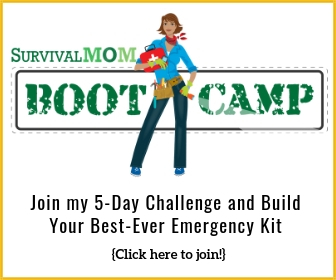 My first goal is to create a car emergency kit. We homeschool and drive around a lot. We live in a rural area and are almost always at least 40 minutes at home. For things like water, do you leave them in your car this time of year? I am concerned about the water freezing, but I know I won’t always remember to grab it when we leave. Suggestions? Thanks! Nylons are awesome insulation under your clothes as well without feeling bulky. Water 2/3 full in pop bottles will last all year round and not break. A good knife so you can make foam clothing out of your seats to keep warm. Or take your Fortress Clothing with you when you go for the trip. Empty all rain barrels after first frost you will not have splits in the bottoms. This has to go in the “don’t do what I did” column. If you are getting older, don’t move from a warm area to your dream homestead in colder northern areas. I don’t care how much better the prices are! We did that and found I (wifey) was the only one that could do the heavy stuff like shovel snow and tote wood due to hubbies copd. Within a couple of years I couldn’t do it either. So all our work on fixing the place up was for nothing when we had to sell and move south. Now we’re starting over again and remembering all the things we did that we are having to do again. At least make sure you understand totally what is involved living in a cold climate. Maybe just go and visit in the middle of winter for awhile. Keep some fat rich creme as well in your emergency kit to protect skin from frostbites! Never heard of a block heater, is that plugged into your cigarette lighter? No, they are plugged in to an electric outlet, usually in a garage.